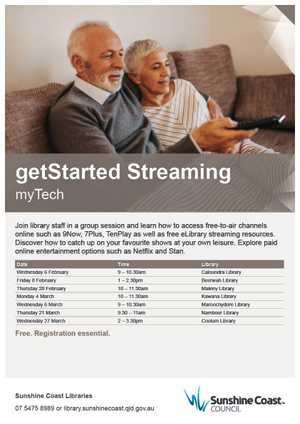 Join library staff in a group session and learn how to access free-to-air channels online such as 9Now, 7Plus, TenPlay as well as free eLibrary streaming resources. Discover how to catch up on your favourite shows at your own leisure. Explore paid online entertainment options such as Netflix and Stan.